Butter. Salt. Perfection. Our very best seller for a very good reason! 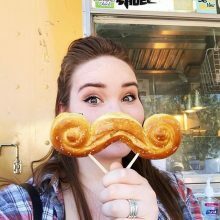 Hand-rolled and scratch-baked from locally grown, non-GMO flour, the Original mustache pretzel is dressed with clarified butter and topped with classic white pretzel salt. Try it with a side of our fresh queso dip. Our very best seller for a very good reason! Vegan upon request! Scratch-made, buttered, and rolled in cinnamon sugar. Indulge your sweet tooth with our sweetest flavor saver yet. It’s got all the scratch-made goodness of our Original pretzel, coated with pure cane sugar and ground Saigon cinnamon. And if that’s not sweet enough, add a side of Nutella! Vegan upon request! A savory 'stache topped with garlic and Parmesan cheese. 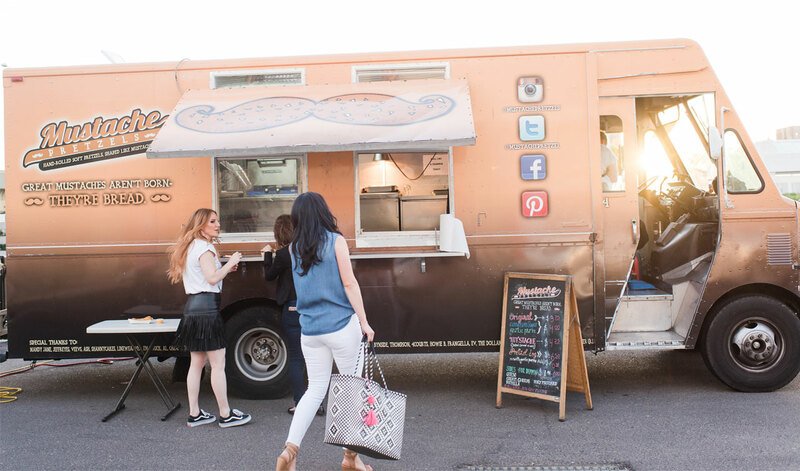 Fancy a savory ‘stache? 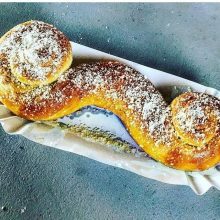 Our Garlic Parmesan mustache pretzel comes topped with garlic powder and freshly grated Parmesan cheese. Great with our marinara sauce, or with Cilanktro – a cilantro-infused hot sauce by the award winning Hank Sauce Co.
Salted Caramel with Crushed Nuts! 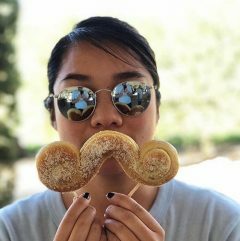 Take our Original pretzel and drizzle it with salted caramel, then top it with a blend of crushed peanuts, walnuts, almonds, and filberts, and you’ve got yourself a sweet and salty ‘stache full of nutty goodness. 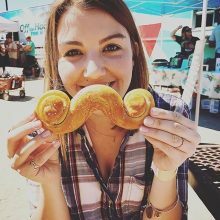 Hand-rolled and scratch-baked from locally grown, non-GMO flour, the Original Mustache Pretzel is dressed with clarified butter and topped with classic white pretzel salt. Try it with a side of our fresh queso dip. Our very best seller for a very good reason!